The series of Brazilian capitals flags is near the ends (in my counts, it's the penultimate post!) 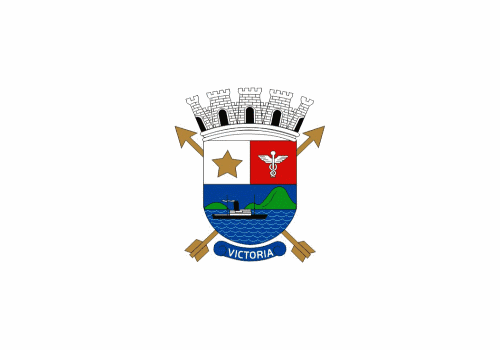 and now it's time to propose a new flag to Vitória, the capital of Espírito Santo state. It's the oldest Brazilian state capital located on an island. It's nothing more than city's coat of arms on white background. The first quarter, with a golden star, refers to the star of Brazilian national flag that represents Espírito Santo. The caduceus is symbol of commerce and, together with the ship on a landscape containing the Penedo (actually part of Vila Velha municipality) and the Ilha das Pombas, represents the portuary nature of the city. The most interesting item of the coat of arms is certainly the arrows behind it, a tribute to the native indians of the region. The five red stars arranged in cross on a yellow background is from the coat of arms of Vasco Fernandes Coutinho, first proprietor of Espírito Santo captaincy and founder of the city; this motif appears, for example, on the coat of arms of the Federal University of Espírito Santo. The arrows, took from coat of arms, represent the indians that inhabitated the island, specially the Goytacazes, famous for their techniques with bow and arrows. The victory of Coutinho over the Goytacazes names the city ("Vitória" = victory). Comments (critiques, suggestions, additional info, etc.) are welcome. 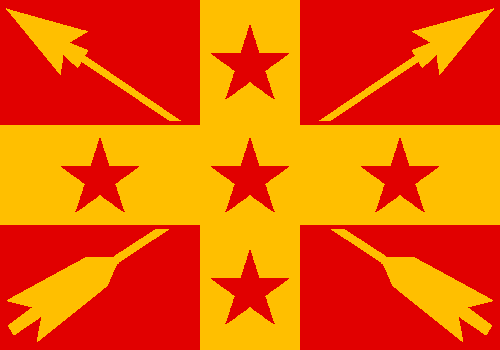 That was the first flag I made with help of Paint.Net 4.0 beta. The origins of Colonia del Sacramento (capital of Uruguayan department of Colonia) dates from the Portuguese Colônia do Santíssimo Sacramento ("Colony of the Most Holy Sacrament") settled on the estuary of the River Plate (on the margin, the Argentinean capital, Buenos Aires). For its strategic position, the region was disputed between Portuguese and Spanish settlers; its historic quarter being World Heritage Site due to the mix of both colonial architectonic traditions. Blue and white are the Uruguayan colors, and, at the time of city's foundation, both Portugal and Spain used flags with white background. The blue shape is like a fort, a reference to the historic quarter of the city. The sunny white disc is a common representation to the sacramental bread, as the colony was named after the Eucharist, "the most holy sacrament". Again, the sun remembers the Uruguayan national symbols. Comments are welcome. Please, leave a comment. 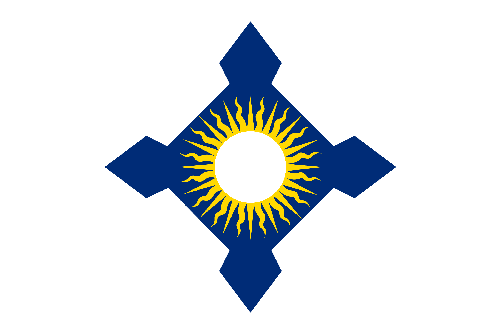 If you can locate any Colonia del Sacramento symbol, please cite it on comments. Fredericton is the capital city of New Brunswick, Canada. I never was a fan of its flag, whose appearance obviously demonstrates it was made by an amateur. There are some other issues, that I'll address along the post. The flag ratio (1:2) is too wide, considering that about two thirds of it is left empty. The coat of arms, consisting mostly of other escutcheons, is badly composed. 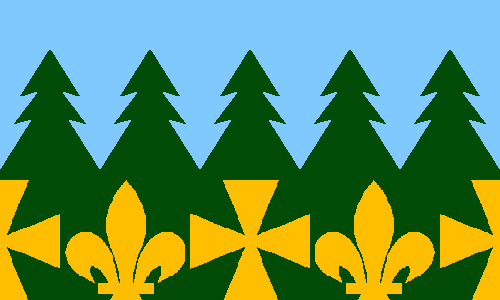 Two top escutcheons represent the monarch of Canada, the bottom one represents the New Brunswick forests, and the cross is a sign that Fredericton is se of ecclesiastical cathedra. 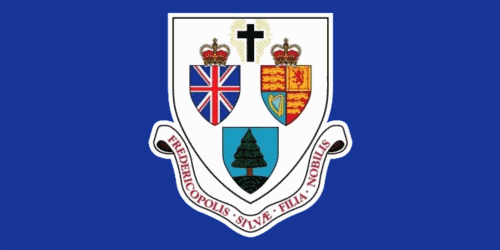 The motto is Fredericopolis silvæ filia nobilis ("Fredericton noble daughter of the forest"). Moreover, I'd like to keep the monarchic theme on the flag, as removing it could be potentially unpopular. One of the things I dislike on current coat of arms is that it represents much more the British than the Canadian queen. Luckily, the coronets that crown the two top escutcheons is the St. Edward's crown, that also appears on Canada and New Brunswick coats of arms. Here, I simplified it to the cross patty and fleurs-de-lis that adorn the crown. 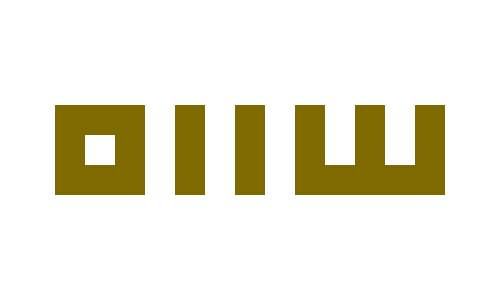 The result, in my opinion, is much fresher and more aesthetic than current flag. If you have any suggestion to a potential suggestion to the blog, please, leave it on comments. "One-state solution", often called "Isratine", is one of the proposed solutions to Israeli-Palestinian conflict, through the unification of the two countries in a single (often federated or confederated) multi-ethnic and multi-religious state. The theme of this post was proposed on the blog comments by Aj Marohom. 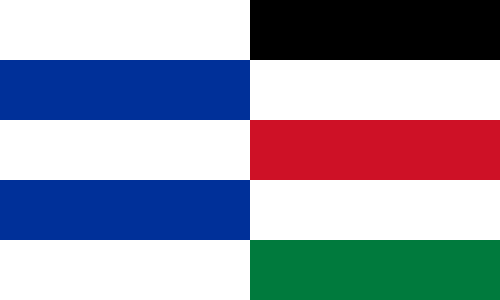 The usual way of designing flags on this topic is combining Israel and Palestine flags. The flag just below, for example, was designed by me using this pattern. Those flags, though, may seem too artificial and, in the opinion of many, are more divisive than opposite, but I have to admit some of them are aesthetically pleasing designs. Source: Justin Watt of justinsomnia.org. Work licensed under CC-BY license. 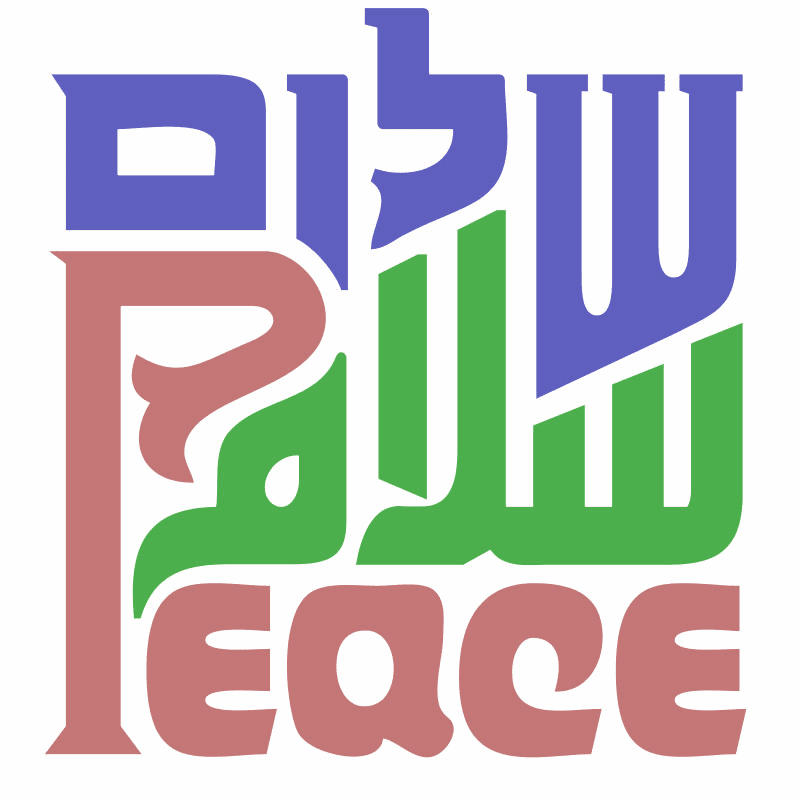 Hebrew word is in blue and Arabic is in green. Based on it I made the following design, using a stylized version of the words. White is a peace color, and present on both Israel and Palestine flags. The golden color is neutral. As the symbolism is all related to peace, this flag wouldn't be, in my theory, offensive to any minority either. Israelis could find a connection between the colors and Exodus 33:3, that describes Canaan as "a land flowing with milk and honey", while Palestinians could associate the white background, a pan-Arab color, to Umayyad Empire. As you can see here, I try to answer all suggestions as soon as possible. What about leaving a suggestion? Please, no comments about politics or other delicate themes. Keep them about vexillological or aesthetic merits. To see more about Justin Watt's works and attribution policy, visit justinsomnia.org.